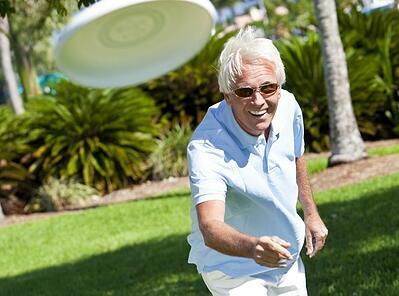 Does Your Senior Living Community Wellness Program Foster Ageism? Several months ago, I listened to an interview on NPR with Ron Christie. He talked about working with President George W. Bush, who pressed the idea of combating the soft bigotry of low expectations when it came to the achievement gap for kids in schools. Turns out, the soft bigotry of low expectations is alive and well in all sorts of domains in this country, including how we view the abilities of older adults. One of the challenges that wellness program leaders in senior living communities must overcome is making sweeping assumptions about the abilities of their audience. And it's no easy task. I am in communities across the country on a regular basis where I'm routinely surprised by the stories I hear from residents about how enthusiastically they're living their lives right now. Shame on me. After more than a decade of doing this work, I am still amazed at how vibrant my elders can be. That amazement, though positive and delighting, is rooted in my ageist assumptions that older adults somehow cannot or should not live with the same enthusiasm that I choose for myself. It is representative of the soft bigotry of low expectations. Unique activities? Does your calendar have fewer than 5% of activities each month that are truly unique to the month, quarter, or year? If you're not sure, try this: pull up three months of calendars and cross off every item that is routine, including standing card games, meetings, birthday celebrations, group fitness classes, etc. See what's left and consider how empty your calendar might be if it highlighted only the unique events. Passive vs. active? Does your calendar have a substantial percentage of the programming designed to be passive (sit-and-listen) rather than activating residents' minds and bodies? How many events are truly resident-led where the staff are only providing assistance with room reservation and possible event communication? Which programs can you point to that facilitate meaningful social interaction for your residents? Serving just the vocal minority? Are your calendar events built largely on the vocal minority requests, where the activity director serves as an order-taker instead of pulling from a broader base of residents, community connections, etc.? Those are not the hallmarks of programming that communicate the capability, energy, and desires of the seniors we serve. Those are very much representative of offerings for those who are retiring from life. They tend to be narrow in scope, limiting in new experiences, and focused on probably 20–30% of your population. They demonstrate our lowered expectations for what will inspire seniors to engage. Fortunately, it seems the senior living industry as a whole is moving toward educating on ageist stereotyping and uncovering systemic challenges that make it hard to overcome the generalized belief that increasing age means decreasing value to society. LeadingAge offered this "beginning conversation" in the magazine late in 2016, and the International Council on Active Aging has been beating the drum against ageism as well. At the community level, using a fresh lens to see what's possible from an activities standpoint is a good start. That means dropping (as best you can) any perceptions you have about the audience you serve. You can take a stab at revealing your assumptions by giving a colleague your elevator speech about what you do. Do you include assumptions about what programs residents will and will not participate in? Do you have an underlying assumption of frailty in your residents? Does your message speak to how resistant your residents are to change? If your focus is on keeping residents busy and entertaining them, you may be building your enrichment program on ageist stereotypes. Perhaps it's time to do better. Check out these concrete ideas for truly honoring the passions and interests of your lively and very much alive residents. Or, if you're ready to get busy evaluating what you have as a starting point for making improvements, check out our quick read on how to evaluate the quality of your wellness program.